In ancient Colombia, artists would solder wire in the shape of animal patterns to a flat sheet of gold to create a raised line sculpture. Your child can create a wall sculpture replica just like ancient people before them; using twine and a recycled cereal box. Help your child cut a circle out of the cereal box cardboard. Using a pencil, draw the outline of an animal shape onto the cardboard. Any animal shape will look great. However, if you want the outcome to appear more traditional, visit the Internet to find images of Ancient Colombian Animal Drawings to find patterns to copy. Draw with glue on top of the pencil lines. Carefully lay the twine or cotton rope on top of the glue, following the pattern of the animal. Once the string is in position, firmly press it in place. Allow the glue to dry completely. Pour some gold paint into the painting tray and allow your child to paint on top of the entire raised drawing, making sure to cover all of the base and string so no cardboard or string show through. It may take two coats of paint. Glue the wall sculpture in the centre of a square piece of black poster board. 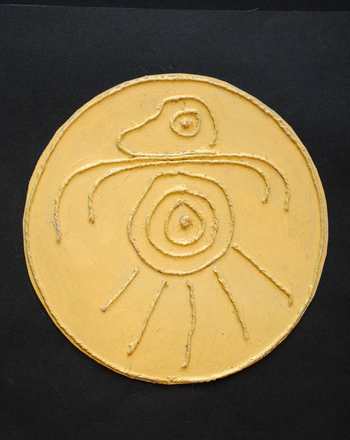 Visit this link for images of Colombian line animal drawings. Use base 10 drawings to subtract two-digit numbers in this maths worksheet. This worksheet teaches you to use base 10 drawings to add two-digit numbers. 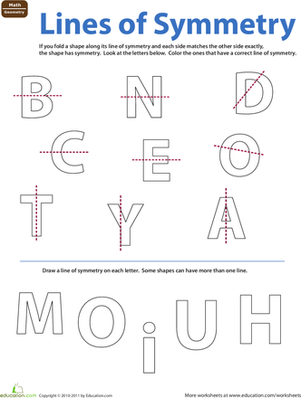 Using simple and familiar letter shapes, your child will identify which pictures on this worksheet are split by the correct line of symmetry. Measure your way to the right answer by using this handy number line to solve word problems about adding length. 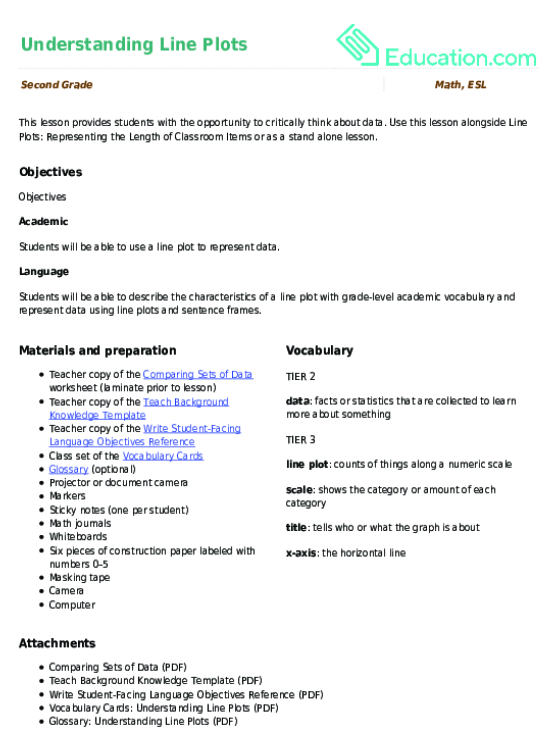 Use this glossary with the EL Support Lesson Plan: Understanding Line Plots. Use this lesson alongside Line Plots: Representing the Length of Classroom Items or as a stand alone lesson. Use these vocabulary cards with the EL Support Lesson Plan: Understanding Line Plots. Practise making a line graph using the information given.